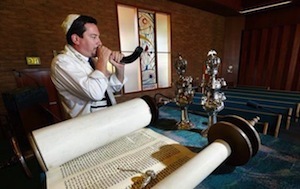 Sacred Traditions | The official blog of Sacred Traditions Class! 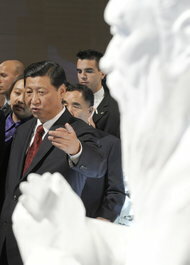 Xi Jinping wants you to memorize “The Analects” of Confucius. China’s Communist Party chief says that the homegrown thoughts of the ancient sage offer an antidote not just for his own country’s ills, but also for Western societies whose faith in capitalism has been battered by the economic slump. 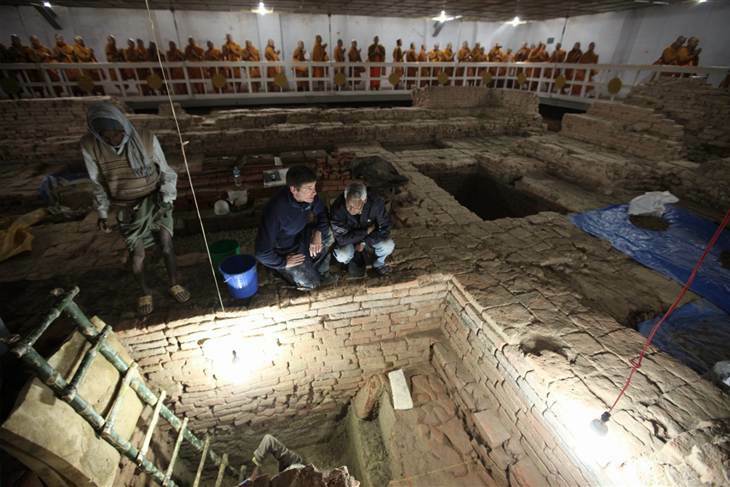 “For the first time, we actually have scientific evidence leading to the establishment of a major Buddhist shrine,” he said. It’s not beyond the realm of possibility to speculate that the ancient tree at the center of Lumbini’s holy site was the same tree that Buddha’s mother held onto when he was born, as described in Buddhist tradition.” This is one of those rare occasions when belief, traditions, archaeology and science come together,” Coningham said. Today, Their Royal Highnesses, Charles, Prince of Wales and Camilla, Duchess of Cornwall, paid an official visit to Parmarth Niketan Ashram, Rishikesh as the first destination of their nine-day visit to India. 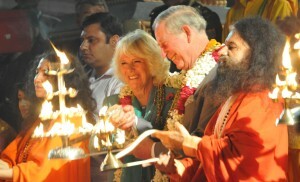 Arriving just before sunset, Their Royal Highnesses took part in the sacred evening Aarti Ceremony (ritual of lights), which is an internationally-renowned highlight of Parmarth Niketan’s daily activities. Prior to the Aarti, they observed the final offering of a Yagna (fire ceremony) for World Peace and Environmental Preservation, led by the President of Parmarth Niketan, Pujya Swami Chidanand Saraswatiji. Offering the traditional herbs and seeds into the fire to the rhythm of ancient Vedic prayers, their Royal Highnesses took part in one of the most ancient rituals of the Indian tradition, performed on this occasion as a prayer for a healthy environment and peaceful world. Following the Yagna Ceremony, they took part in a Water Blessing Ceremony, led by Pujya Swamiji, in which waters from the world’s sacred rivers were offered onto a large globe, symbolizing a prayer that all people across the world should have access to safe and sufficient water. After the Water Blessing Ceremony, a short prayer was held in homage to those who had lost their lives, loved ones, homes, villages, livelihoods and hopes in the tragic Uttarakhand floods this past June. Pujya Swami Chidanand Saraswatiji is also the Founder of Ganga Action Parivar, an environmental organization of scientists, engineers and activists working to clean the waters and banks of the Ganga River, and the co-founder of the Global Interfaith WASH Alliance, an international, interfaith coalition of faith leaders working to bring water, sanitation and hygiene to all. In alignment with his life’s work, Pujya Swamiji offered their Royal Highnesses a sacred tree sapling as a symbol of the trees being planted in the Himalayas, and a beautiful container of water from the source of the Ganges. Pujya Swamiji presented them with a sacred sapling, rudraksh malas and shawls made by the Uttarakhand tribal peoples. His Royal Highness Prince Charles shared beautiful words of inspiration and spoke about how glad he was to be present for this ceremony and also how glad he is to hear about the wonderful work for the environment and humanity being done by Pujya Swamiji. He mentioned how now that he is a grandfather, he recognizes even more crucially the importance of protecting our environment for future generations. He said: “It’s a particular joy to join you here on the banks of the Ganges this evening because it is, above all else, my first visit to the Ganges and so from that point of view it is a very special occasion for both myself and my wife. 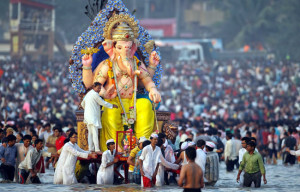 The Hindu festival of Ganesh Chaturthi is being celebrated in India and across the world. 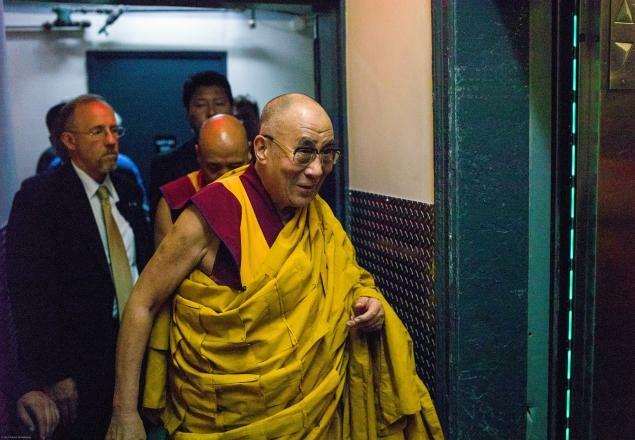 For some great pictures, see gallery on the Wall Street Journal’s website – click here. This weblog is the place that you will find information about Sacred Traditions class. Your assignments can be found here as well as basic information about the class (syllabus, web links, grading, etc. ).